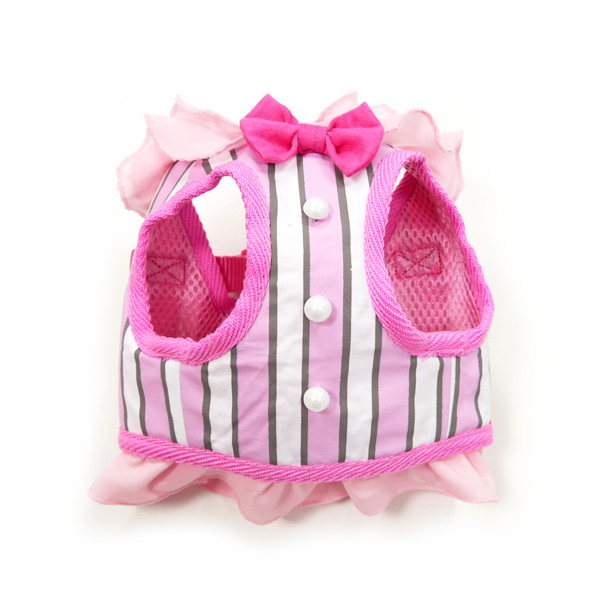 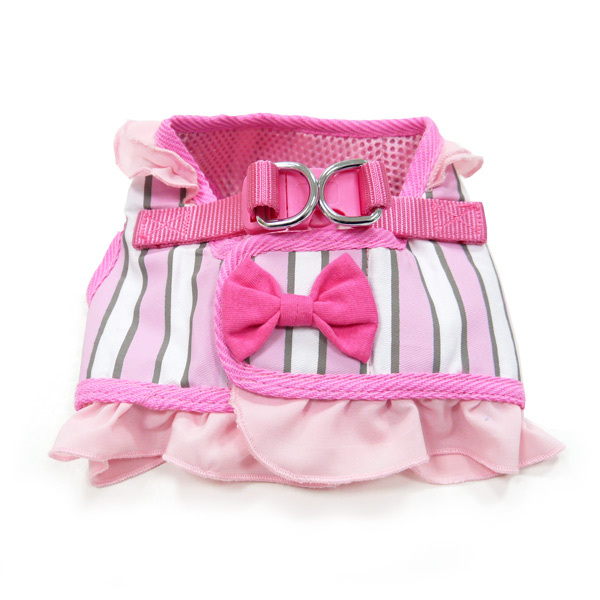 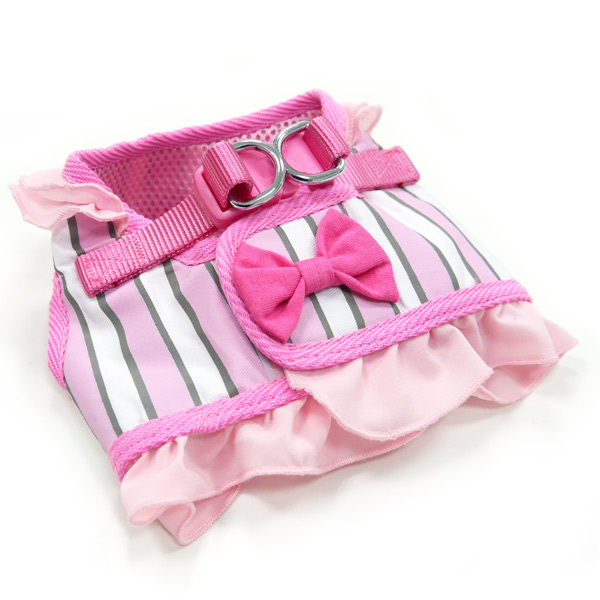 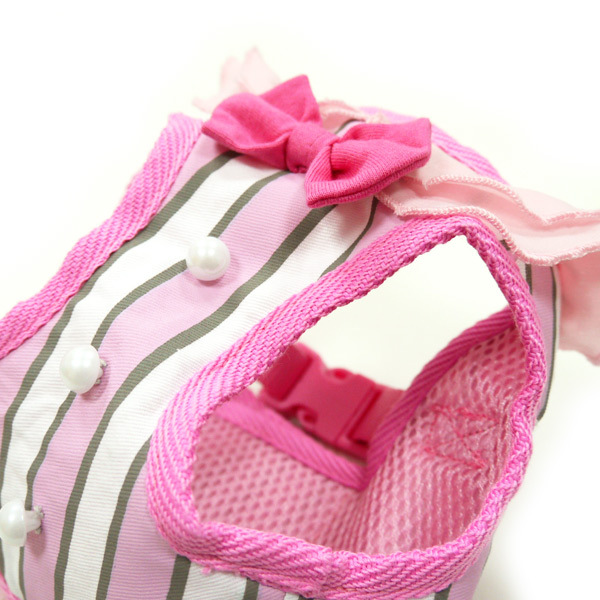 Striped vest style with ruffle around the neck, pearl buttons and a sweet bow on each front and back. 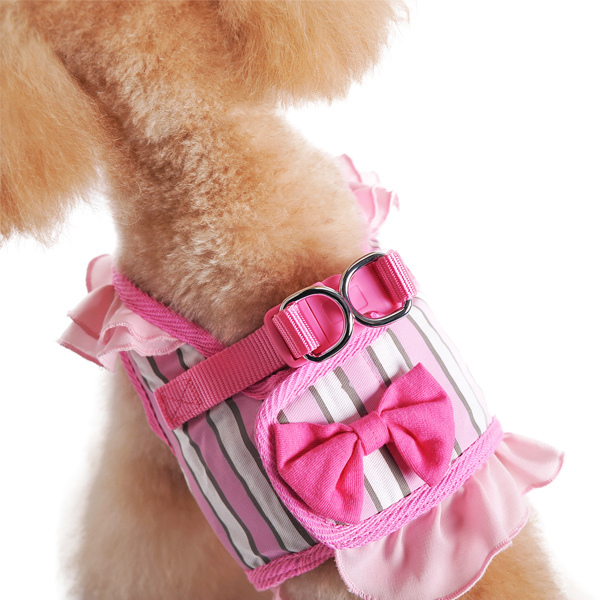 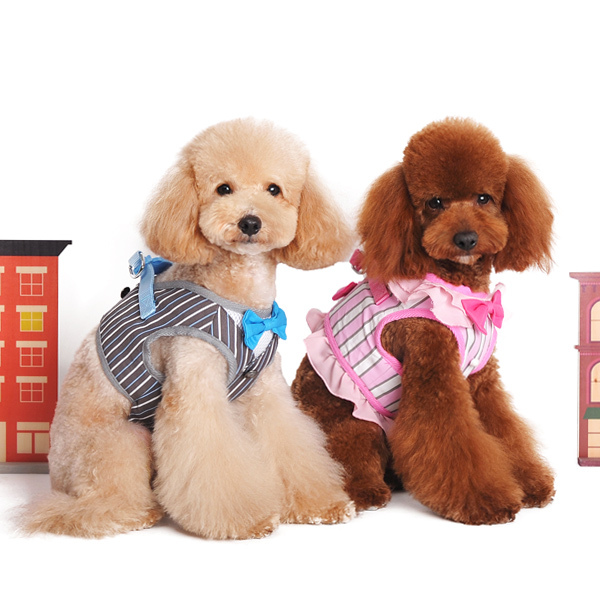 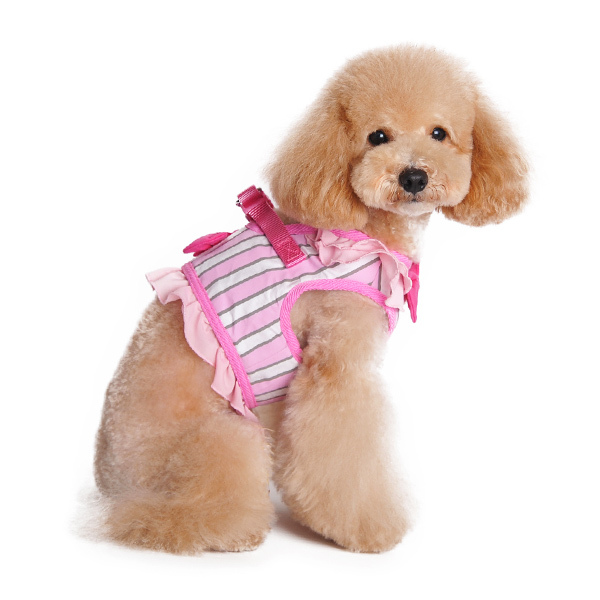 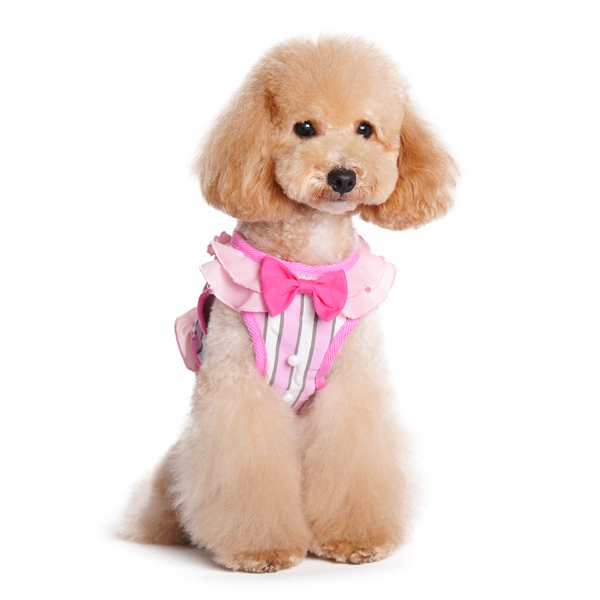 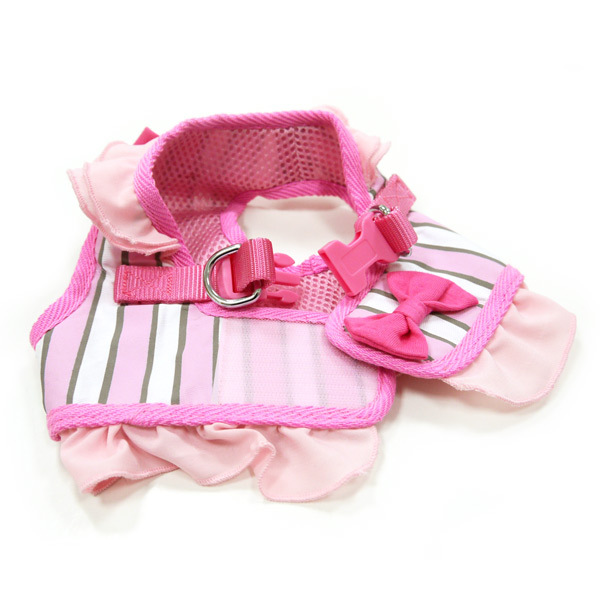 SnapGO is a soft vest styled harness. 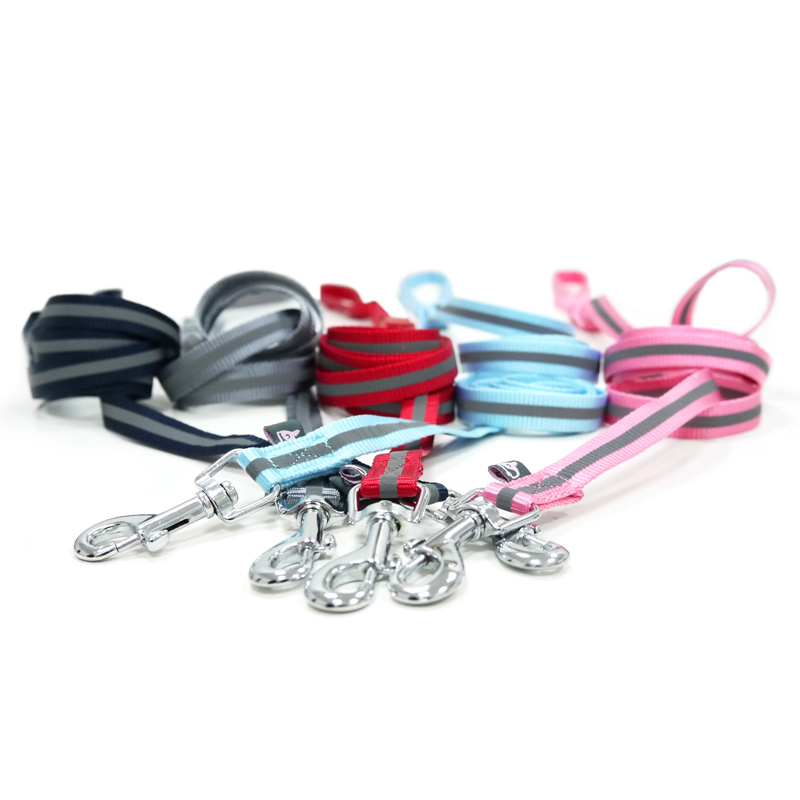 Step in, snap the buckle, adjust girth tightness with Velcro closure, attach the lead to two D rings and GO!